SEBASTIAN – Tropical Storm Alberto is forming over the Gulf of Mexico that could bring rain, but forecasters are mixed on what impact it will bring to Sebastian, Fellsmere, and Vero Beach. “A tropical storm is likely to form in the eastern Gulf this weekend and track generally northward. Regardless of development, very heavy rain and flooding are possible for portions of South FL this weekend,” the National Weather Service said. As of Thursday at 8 a.m., forecasters predict that Sebastian and Vero Beach will get up to half an inch of rain between 4 and 7 p.m. when the storm makes it way into Florida. But even that could change by Saturday. It’s also too early to make predictions as this system could move farther west. 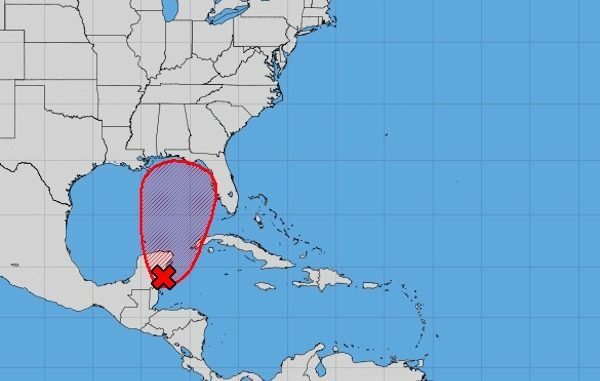 The chances of this tropical depression developing over the next five days are up to 80 percent, according to the National Weather Service. For now, I wouldn’t give up your weekend plans. The tropical storm may bring some rain to our area, but very minimal.